We're so excited about these fun pumpkins! They're perfect for display as we celebrate this beautiful fall season. 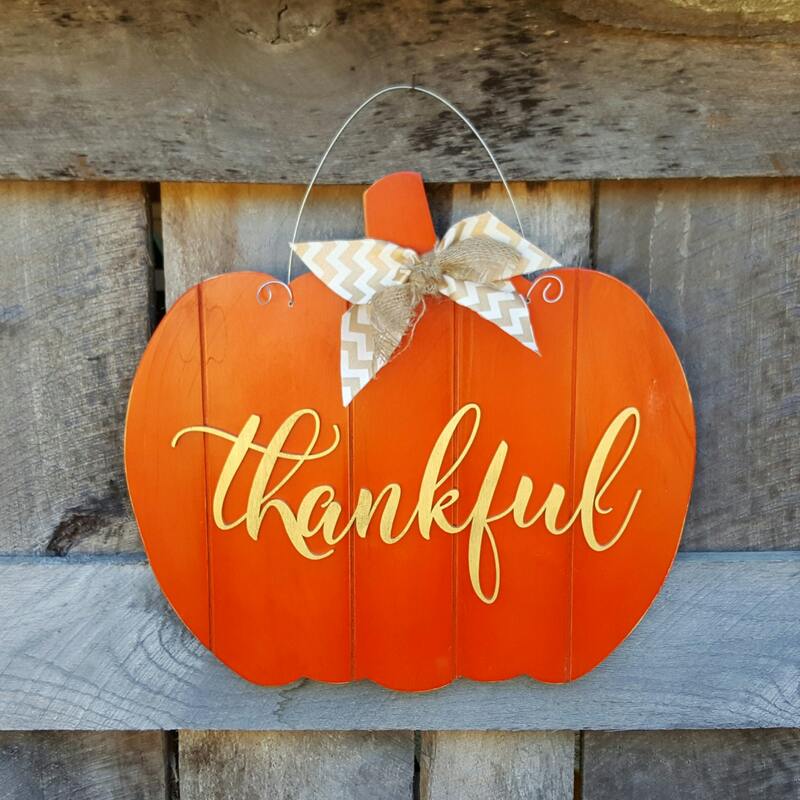 The farmhouse-feel of the slat pumpkin and the wooden script word make these pieces so unique and beautiful. You can even personalize with the word of your choice. Just include the personalization in your notes at checkout. 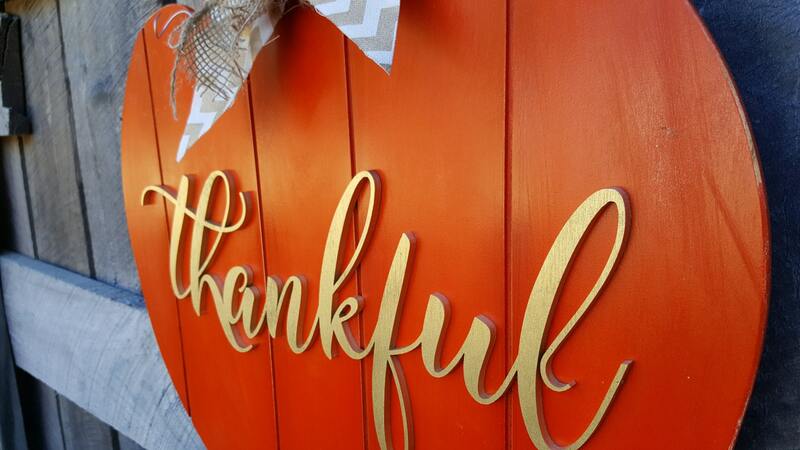 First picture shows pumpkin in distressed orange with word in gold. Communication was great . I only wish it was made out of a more durable product then paneling . It also isn't as rustic as some might like. Otherwise it's huge for the door so put it on floor . Cute sign expensive for the money . Thin material , took long to receive . Looks great hanging outside near our front door. Have already received multiple compliments on it. Is bigger than I expected (I did not really pay attention to measurements), but that's good because you can actually see it!